Sorry, A Marblized Polyhedron Weight is not currently available. 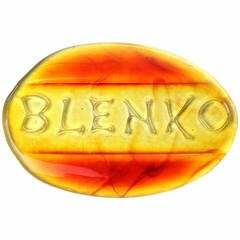 An uncommon and handmade glass desk weight in luminous tones of amber and red advertising the Blenko Glass works. 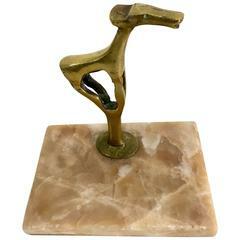 Unique marble and brass sculptural paper weight of a dog or animal. Onyx pyramid paper weight - a small and handsome paper weight for your delicate papers that need a pyramids touch. Paper weight in the shape of a dumb bell, German crystal. A handsome compliment to any desk or office. A paper weight with a patinated bronze of Napoleons death mask on a green marble base. France, early 19th century. Handmade decoupage paper weight, designed by Cathy Graham and crafted by Scott Potter.